JONATHAN FERRARA GALLERY is pleased to announce the opening of its new exhibition, “Closer: New Paintings by Sandy Chism.” The show will open to the public with a reception on November 6, 2004 from 6 to 10pm. The exhibition will be on display until December 1, 2004. Known for her beautifully ethereal paintings, Ms. Chism often incorporates organically derived metaphorical elements to relate the opposites in nature; the cycle of life and death, the single vs. the multiple, the micro vs. the macro. 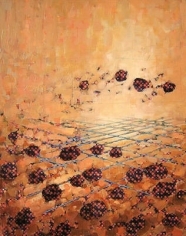 Chism’s work focuses on the exchanges and changes of the common materials of living matter. Her exploration of the information that is passed between one organism and another during the processes of living and dieing inspire this ongoing series. Organisms leave a trail of evidence to create small histories that are not often recognized. Ms. Chism aims to examine these small but mysterious cycles of exchange by securing fabric with small prints resembling pixels to panel and then partially obscuring and enveloping the patterns with vast, sensuous fields of color to form gardens and swarms of coexisting organisms. SANDY CHISM is currently an Associate Professor of Painting and Drawing and Graduate Coordinator for Art Studio at the Newcomb Department of Art at Tulane University. 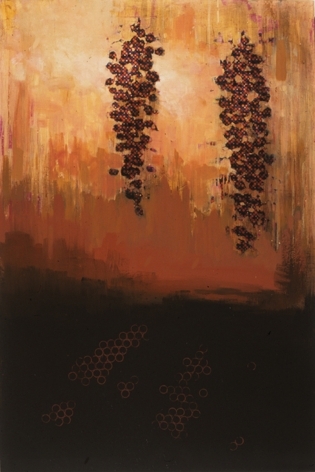 In July of 2000, a ten-year survey of her work was exhibited at the Contemporary Arts Center, entitled Sandy Chism: A Survey and included paintings as well as large scaled mixed media installations. A catalog produced by Tulane University of her ten-year survey is available at the Contemporary Arts Center. 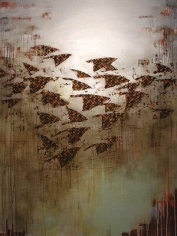 Closer will be Ms. Chism’s third solo show at the Jonathan Ferrara Gallery. 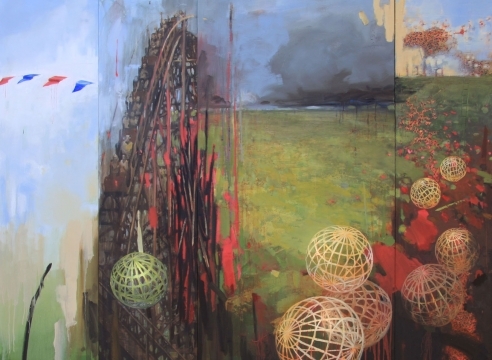 Her work is featured in the permanent collection of the New Orleans Museum of Art and has been exhibited locally, regionally and nationally. Ms. Chism’s work has been reviewed in Art in America, The Times-Picayune, Gambit Weekly, Forum Magazine and the New Orleans Art Review.